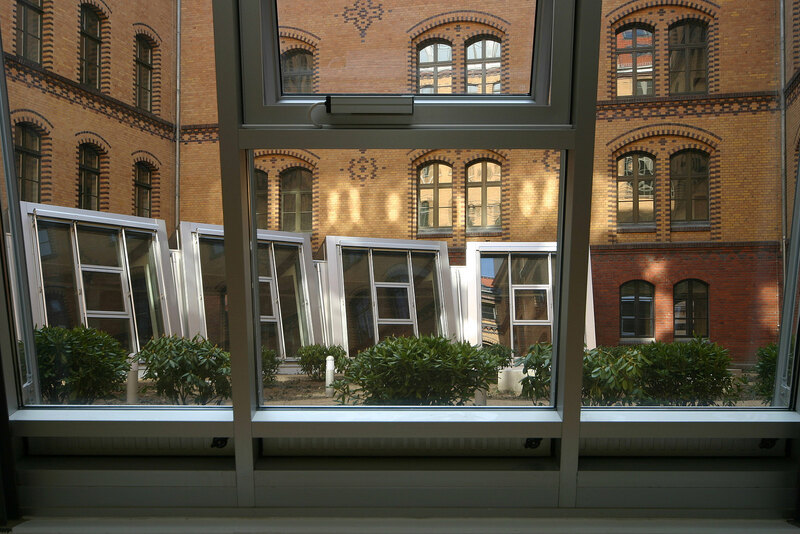 Adjacent to Potsdamer Platz and right by the Landwehr Canal in Berlin, Königliche Direktion is a neo-Renaissance office building restored by CA Immo on Schöneberger Ufer and offering more than 24,900 sqm of rentable space. The history of the property is every bit as impressive as the structure itself. 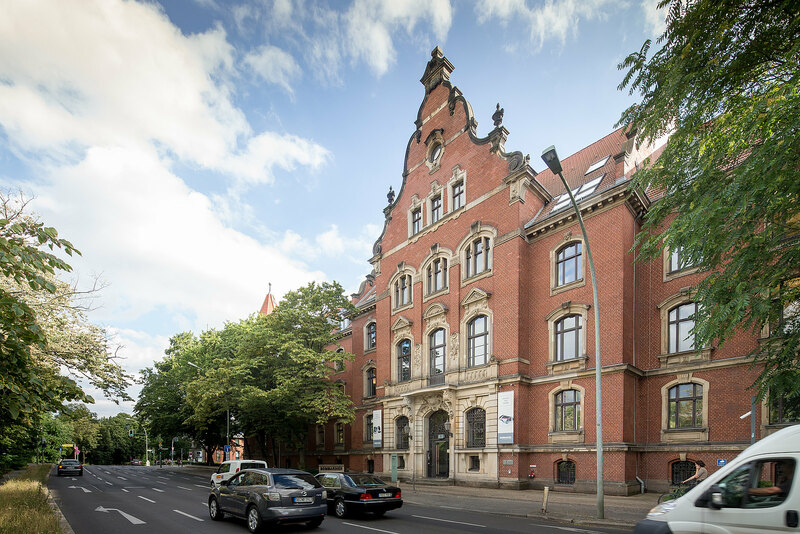 Built in 1895 as the ‘Königliche Eisenbahn Direction’, a six-storey extension was added to the building in 1928. Having been renovated and modernised with attention to detail in close collaboration with the heritage conservation authority, the structure once again exudes the natural elegance and individuality that springs from a lengthy history. At the same time, the technical installations, fixtures and fittings naturally meet the standards of any modern-day office building. 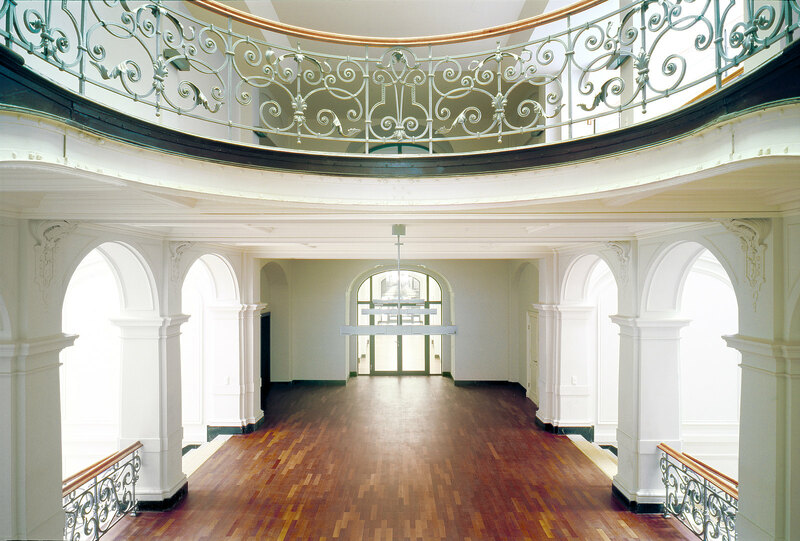 The reception area of the Königliche Direktion comprises a lofty foyer where visitors can expect a personal welcome. 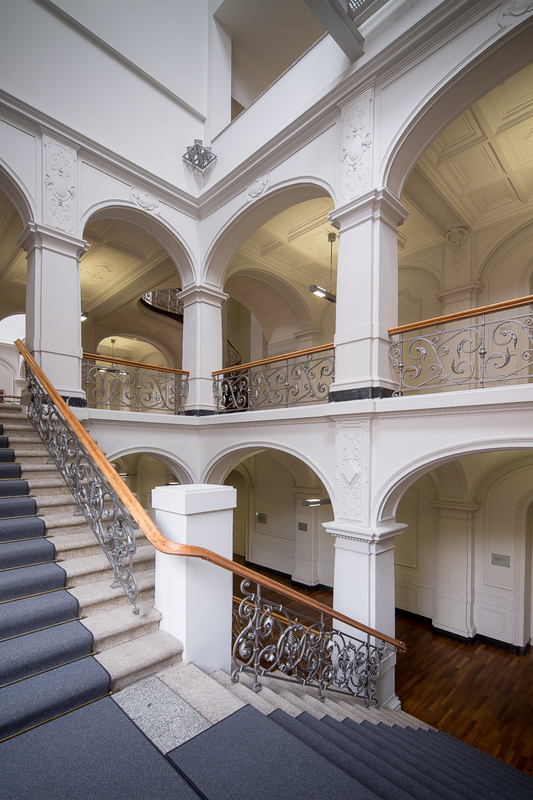 Historic stairwells with neo-Renaissance features, extensively restored office doors and parquet flooring radiate an old-world glamour. Offices with ceiling heights of over three metres, fully equipped kitchens and natural ventilation and aeration for the rooms create a pleasant working environment. A conference room of around 210 sqm offers ample space for meetings and other gatherings; it also has its own cloakroom and sanitary areas. Under favourable conditions, Königliche Direktion promises tenants all the advantages of a Potsdamer Platz location and excellent links to the public transport system and road network. Do you have any questions, or need more information on Königliche Direktion in Berlin? Simply contact us!